I m a graduated student from University of Birmingham in UK. Currently, I m staying in Japan for my working holiday. 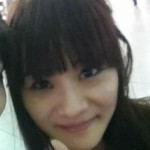 I am interested in teaching English as a tutor and helping people with their English. Please do not hesitate to contact with me.